Vicente del Bosque González, 1st Marquis of Del Bosque (Spanish pronunciation: [biˈθente ðel ˈβoske ɣonˈθaleθ]; born 23 December 1950) is a former Spanish footballer who is currently the manager of the Spanish national football team. 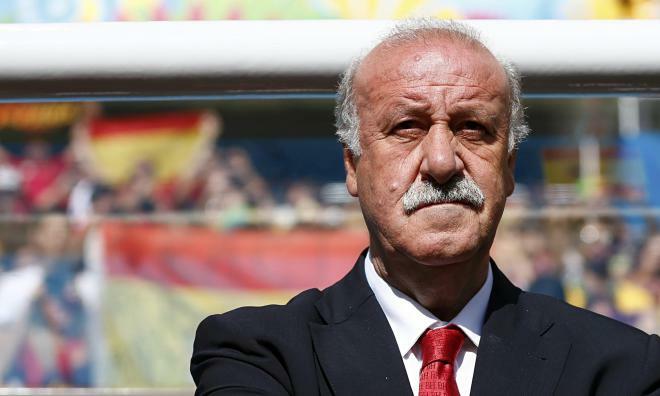 After taking over from Luis Aragonés – who had led Spain to European success in the 2008 European Championship – Del Bosque went on to lead the national team to win their first-ever World Cup in 2010, and then to retain their European Championship in 2012. Del Bosque coached Real Madrid from 1999 to 2003, which was the most successful period in the club's modern era. He is to date the only football manager to have won the Champions League, the European Championship, and the World Cup.